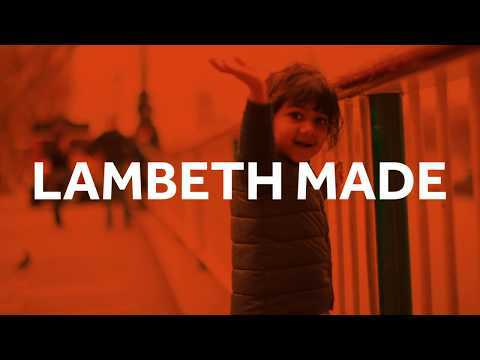 ‘Lambeth Made’ is a programme which is working to make Lambeth one of the best places in the world for children and young people to grow up. There are 67,900 children and young people in Lambeth all of whom we want to put at the heart of our collective thinking, planning and action. Through partnerships across the whole borough, Lambeth Made challenges everyone to take action in their schools, communities, businesses or organisations and be guided by the voices of children and young people. Lambeth is a vibrant and exciting borough with a dynamic business sector that we want our young people to benefit from. What has Lambeth Made achieved so far? Lambeth Made already boasts successful involvement in a wide range of projects and pilots. Supporting both a work experience programme and a jobs fair, Lambeth Made has provided employment support to 200 young people in Streatham. Lambeth Made has also seen measured achievement through committed and ongoing support of breakfast clubs for disadvantaged school children, free boxing and basketball sessions for young people and motivational speakers to inspire 1,200 pupils from a range of schools. Lambeth Made is all about inclusion, helping to arrange for meaningful work experience in the creative industries for children in care, developing a modern and accessible pledge for looked after children and organising an entertaining careers and applications day for recent care leavers. In this way, Lambeth Made assists individuals and organisations in making a difference to the lives of all our children, and your children, making Lambeth a better place to live. How can you get involved? Everyone can get involved with Lambeth Made and all contributions are valued. Businesses could provide work experience, employment or advice to young people. They could promote the brand through their social media channels, provide safe spaces for youth groups and even offer funding opportunities as part of their CSR. Public and voluntary organisations could create partnerships with businesses or sponsor others, brand their materials ‘Lambeth Made’ and encourage a culture of shared resources with other groups. Local people could act as mentors to children and young people, become part of a skills exchange – getting involved with child care, sports coaching, tutoring and technical support. They could become parent champions in the workplace, use social media as a tool for peer support or share and resell used toys/ clothes and equipment. Children and young people are the beneficiaries of Lambeth Made yet they can also get involved with the ethos by forming peer led support groups, promoting health messages and being proactive in seeking and engaging in the opportunities made available to them.